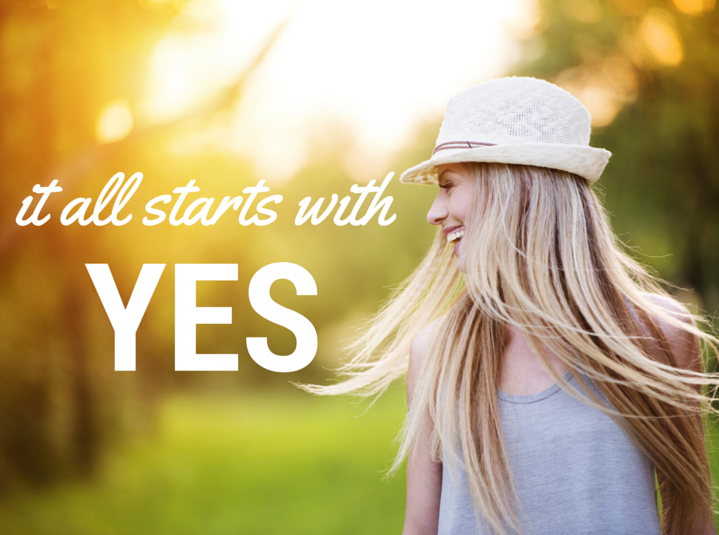 SAY YES! to the life of your dreams. I'm on a mission: to help YOU stop feeling 'not good enough' and start living your happiest life. If you're anything like me, you grew up believing that you were supposed to be hard on yourself, that that's just what 'type A' people do. You learned to be modest and downplay your achievements rather than celebrating. You wore perfectionism like a badge of honor. You were taught to be realistic about your goals, not to dream big. And as a result, you became your own toughest critic, believing that if you weren't hard on yourself, you could never be the person you dreamed of being. But all of that? All it did was constantly make you feel like you aren't good enough as you are. It had you questioning what real happiness was and if it was really attainable. It caused you to compare yourself to others, a lot. It gave you two new best frenemies: anxiety and fear. That's no way to live. In truth, the only way to create a life full of happiness is to LOVE YOURSELF as you are today. In doing so, we can finally be free: free to do anything we put our minds to, free to kick fear to the curb, and free to be ourselves fully without judgement. You CAN believe that you can do anything. You CAN quiet the self-critic and teach her to be your cheerleader. And I am COMMITTED to making that happen. 3. Live the life of your dreams from a place of empowerment - believing that anything you want in life is possible for you NOW. Are you ready to absolutely love your life today? We believe that life coaching is life changing, and everyone should have access to life coaching. Our events make coaching more approachable, affordable, and enjoyable. Your journey to a life that you love awaits! Find out more about coaching and how we can work together to up your happiness, self love, and empowerment. Bliss and Beats is a blog featuring my favorite happiness tips, mindfulness tricks, and the latest and greatest music I'm jamming to. Plus lots of amazing resources I love.